This decorative gazebo style wild bird feeder constructed of PVC/Vinyl is built to last a lifetime. 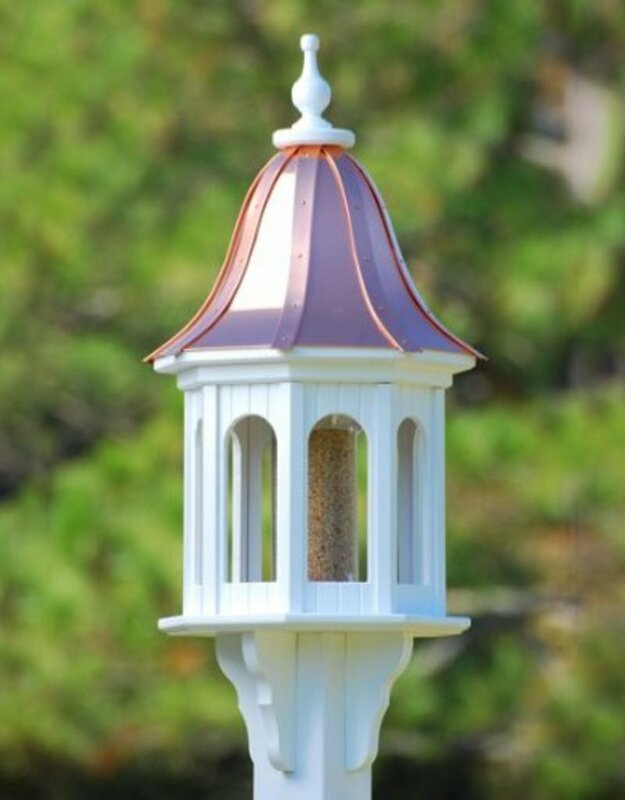 Made of cellular expanded PVC board (just like real vinyl siding) and copper, this 14" octagonal bird feeder will last a lifetime with little to no maintenance. No worries of rotting, cracking, splitting or fading! This bird feeder has a lift-off roof for easy filling and cleaning. The heavy duty acrylic feeder tube measures 5" diameter and is 12" tall. 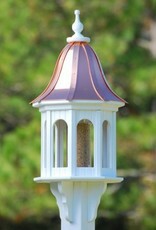 This classic gazebo feeder is a distinctive addition to every landscape. Complete with attached decorative brackets, it fits on your 4 x 4 post (post not included).